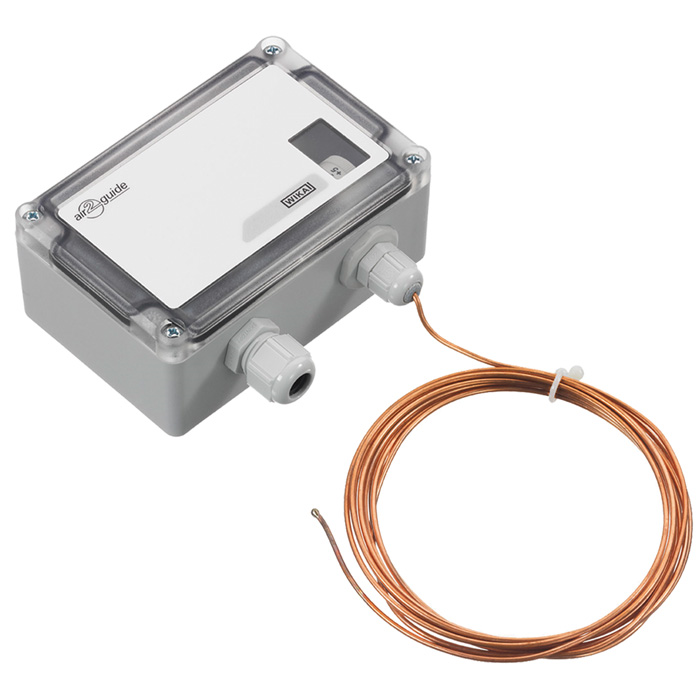 The model A2G-65 frost protection thermostat is used for monitoring the air-side temperature of water/air heating coils in ventilation and air-conditioning systems. The small temperature switching differential, the high reproducibility and the automatic resetting make this temperature switch an ideal thermostat for ventilation and air-conditioning applications. The temperature-controlled switching output can trigger the following measures when the temperature drops below the selected set point (e.g. if there is a risk of frost): Ventilator OFF, external air damper CLOSED, pump ON, activation of a visible/audible warning etc.